Accidentally or unintentionally we all have placed important files in recycle bin, gladly it’s not instantly deleted so you can restore it from the garbage bin but the problem arises when you’ve emptied the recycle bin. Then it’s a point of trouble for you but the whole file isn’t lost. The very first step you should go for is checking the backups. Window 8 has a great tool called as file history but somehow it’s not enabled by default. If you are a windows 8 user and you do these types of mistakes often so you should go and turn this option on by going into Control Panel, searching File History, and clicking Configure File History Settings. For the storage of backup you need a removable drive may be USB or any disc. But this option doesn’t help after the loss of file, this only works before any loss it’s a kind of safety to your important files. Shadow copies of the files are created by windows 7, so you can still find the missing files if you know the folder and the file name. But you can’t have an easy access to them. And the select a tab on top which is written as Previous Versions. Then there comes Time Machine for the MAC users which are a built-in backup that backups your data in an external drive. In every way you got to setup these backups before the loss of your important file, what if you haven’t created any sort of backup, then you are gone. 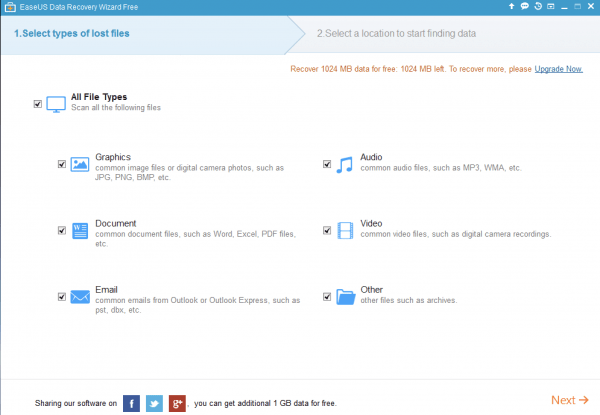 What if you can get back your lost files even if the above discussed processes didn’t work? Yes it is possible if you have a regular hard drive. EaseUS data recovery, ensures that your all data shall not only be saved from loss but can also be recovered easily. This software possesses the strength to recover your data which is lost due to any sort of reason. This software gives free space to store you important data .one can easily regain the lost data with the help of 2GB space. This software offers a free trail based version which also works as the paid version, if the customer is satisfied so he can buy the premium version of the software. You can know more about EaseUS Data Recovery Wizard here http://www.easeus.com/. So the importance of its free or paid version is not only that you get your lost data but you can also face the challenges again. This software doesn’t come with a free version or trail version, if you want to use it you have to pay round about $25. From another computer download the portable version of Recuva and store it on any removable drive. Plug the drive into that computer the file has been lost. In this way no overwriting is done when Recuva is launched. Shutdown the computer with the missing file. Use another PC to create a recovery removable drive using Ubuntu. By using Ubuntu tools ( ntfsundelete ) you can have a look at the hard drive and can restore it easily.